Barry O’Neil is a trial attorney, who is certified as a Civil Trial Specialist by the Minnesota State Bar Association. He represents professionals in malpractice claims with an emphasis in legal malpractice. Mr. O’Neil’s practice also involves the resolution of complex commercial disputes, employment-related issues and insurance claims. 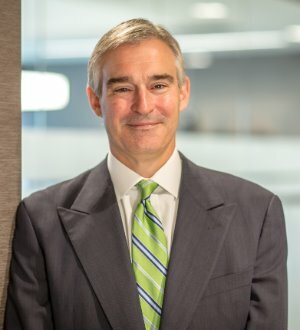 His commercial litigation experience has included contract, shareholder, partnership and business competition disputes in both trial and arbitration settings. Mr. O’Neil is the practice group manager of the firm’s Trials and Litigation Practice Group.Mr. O’Neil is a frequent lecturer on CLE topics including professional liability issues, trial practice and business litigation issues. He has repeatedly been selected for inclusion in Minnesota Super Lawyers and is rated AV Preeminent® for the highest level of professional excellence by Martindale-Hubbell and is recognized in The Best Lawyers in America© for his work in the practice area of Litigation – Real Estate.